Fireplace and Mantel Mirrors are a great way to fill the space above your fireplace mantel. Finding conventional artwork to fill such a large wall is difficult, and marble or stonework is expensive and time consuming. GlassWorks’ beautiful Fireplace and Mantel Mirrors are the perfect solution. They add light and space to a room. 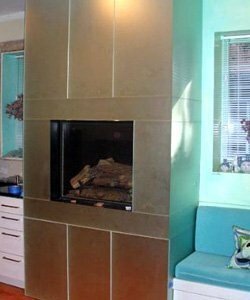 In addition, our Fireplace Mirrors serve as a beautiful centerpiece to showcase your fireplace. GlassWorks’ experts have decades of experience in custom mirrors, and will help you with every aspect of your project. Call today to schedule a free estimate and measurement with one of our friendly, experienced salespeople.